Most of the pieces cannot jump over other pieces and they can move only onto free squares. 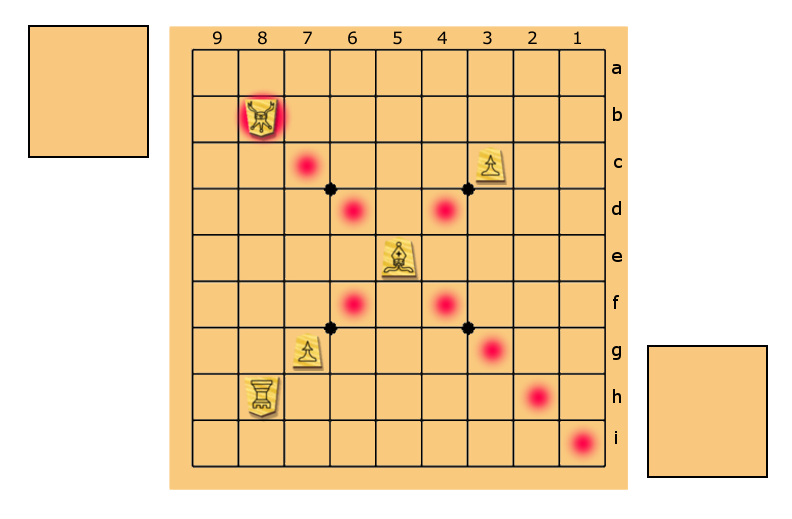 But if their final square is occupied by opponent piece, you can take it! 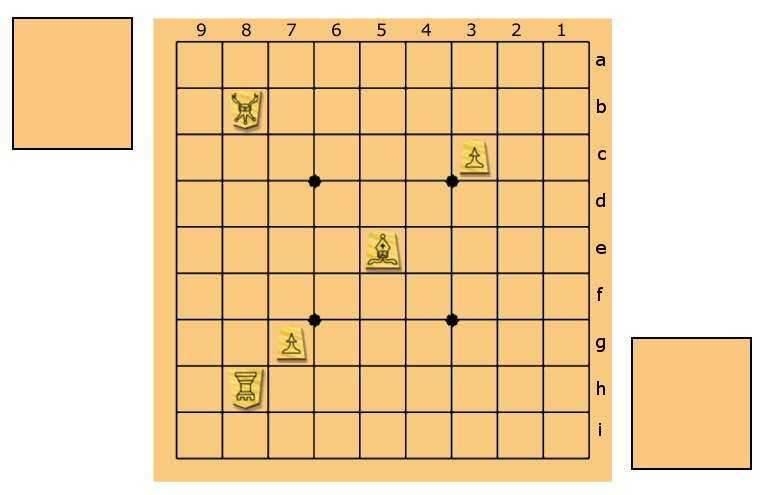 The bishop cannot move on and beyond 3c square (3rd column, c row, see coordinates on the board), because there is our pawn on the way. The bishop could take the silver on 8b, because it moves on that square normally landing on the opponent piece. The bishop cannot take the 8h rook, because there is pawn on 7f in the way. The bishop cannot land on the 7f file for the same reason. The bishop can move freely up to the 1i square. The position where king is being threatened to be taken is called a check. If you ignore a check, in the next move your king will be taken and you would lose the game. In this position, opponent has ignored a check! Win the game in one move. 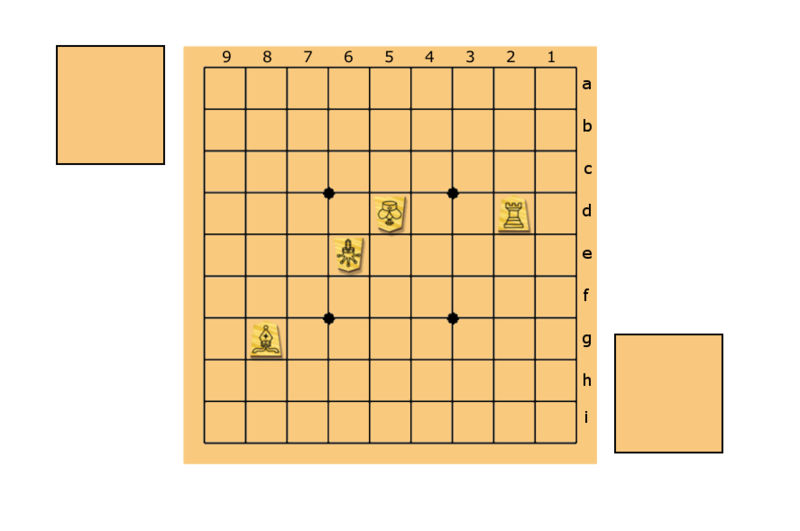 Answer: You can take the king only using the rook on 2d. The bishop on 8g is blocked by your opponent’s gold on 6e.